So farewell 2014… At first glance it has not been a good year. On New Year’s Eve 2013 I cancelled my plans to go out because of a sore throat. A week later, while training with a visiting guest from Argentina, I felt tired, sloppy and without focus. 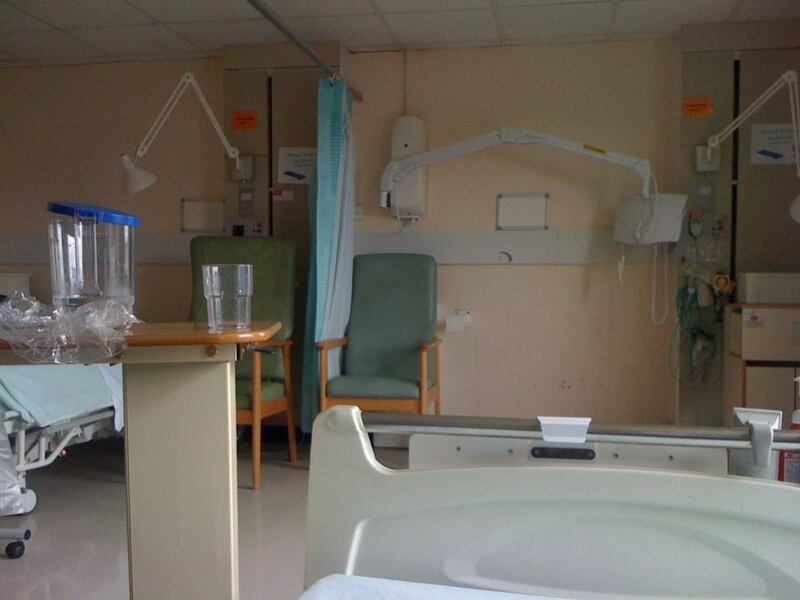 A hospital bed. A sight I became all too familiar with in 2014. 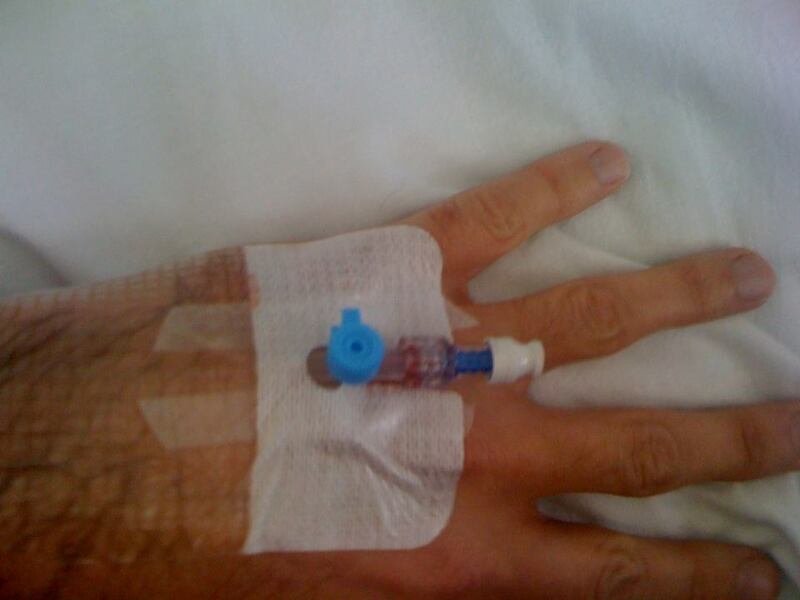 A few days later still I was admitted to hospital with an unshakeable fever and swollen throat for the first of what would become several unplanned stays over the course of the year. The initial diagnosis was epiglottitis and lingual tonsillitis. The treatment: two months of rest and a long course of antibiotics. I’m not used to taking a long time away from training. When my kidneys first failed I was still attending two 2 hour Aikido classes a week alongside personal karate training while my blood creatinine levels were so high that the renal registrar was astonished to see me walk into hospital for a pre dialysis operation. I carried on training with a temporary haemodialysis catheter hanging from my chest that was plugged directly into my subclavian vein. When that was removed I continued to train with a peritoneal dialysis catheter sticking out the side of my abdomen (actually I wouldn’t recommend that for an art as rough as Aikido – the catheter moved in my abdomen so much it took a three hour long operation to remove and judging by the clean up and investigation required it had probably perforated my intestines at some point in time). After both my renal transplants I have been on the training floor within 5 weeks of the operation. Third stay, with memory refreshed, I opted for the left hand. The months dragged by. An attempt to return to training and teaching at the end of the ‘recovery period’ brought another fever and another stay in hospital. After another break, and making the decision to fully resume all my training and teaching to correct severe training flaws creeping in among my students, the pattern repeated itself and I found myself back in hospital only a week before a planned biopsy of the swollen tissue. The good news was the biopsy was clear. The PET scans were clear. The bad news was that my throat was still swollen, still painful, and only continual antibiotics would keep the fevers (and swelling so extreme it would require hospitalisation) at bay. It was time to press on with teaching and training until I could schedule an operation to remove the offending infected tissue with minimal impact on my classes and my students. All this medical attention has had some positive effects. The attempts to rid my body of this (probable viral) infection in my throat has resulted in a sustainable experimental lower immunosuppressant regime which is better for my overall health as well as the transplant’s longevity, and my red blood cell count has increased, leading to increased energy and more sustainable aerobic activity. Taking a step back has been useful both for me as a martial artist and as a teacher. In terms of my own training it has helped me see what aspects were deeply ingrained and what I needed to work on more. That has given a clarity to my personal training goals that I have not enjoyed since my last transplant in 2005. As a teacher, looking at my students, my absence made it obvious which elements of my syllabus they had actually absorbed, and where their understanding was merely superficial: like a dance routine or script learned purely for a performance and discarded thereafter. That revelation, with its mix of good and bad news, has led to a degree of introspection of my pedagogy, and a resulting shake up that I know will be beneficial for my students. This may read like a litany of future successes snatched from the jaws of failure, but that is the nature of progress. We don’t progress unless we try, and if we don’t try hard enough we won’t experience mistakes and failures. The important thing is to move on from those failures and remember the lessons they taught you. There is a limited amount of times you can try the same approach before you have to accept that it hasn’t worked, it isn’t going to work, that it is not the right tool for the job or you are trying to change something that cannot be changed, or improve something that is already reached the extent of its limitations. A new personal dojo has given me a better space in which to train at home and the ability to hang a heavy bag, which I look forward to using to refine elements of my striking skills and improve my kicks (which are definitely weaker than they used to be). Although my two personal forms are designed to be drilled in very limited space the new dojo has also given me the ability to train older forms without continuous changes of position and I’ve already used it to film a short little video. 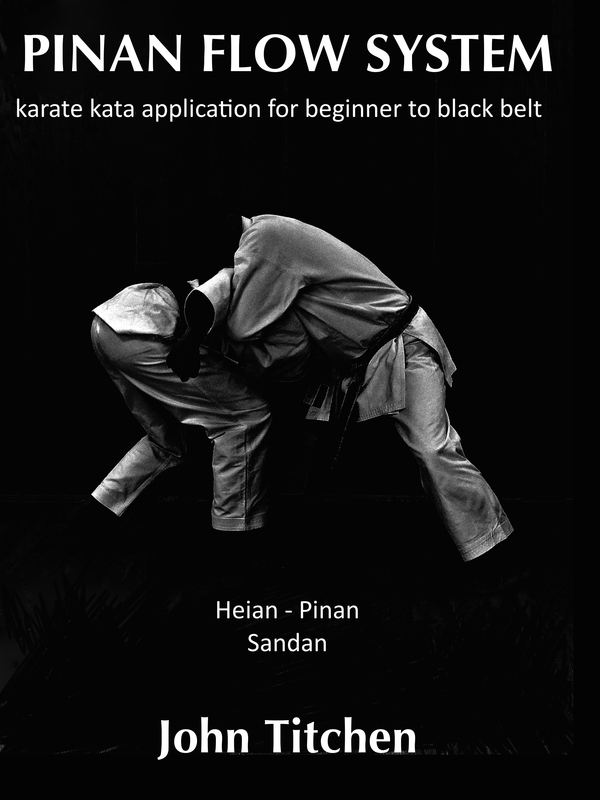 2014 has also been the year that I’ve finally begun publishing my new series of books on the Pinan / Heian kata, with two books released this year in both paperback and ebook formats. My last book was written in 2004 and released in 2007 and this new series reflects the changes in the drills that I prefer to teach for the kata, and a wish to share more information in more manageable packages. One of the biggest issues with books is getting the quality of the pictures right to convey the information to the reader, and there’s a big difference between what looks good online, what looks good on a home printer, and what is the right quality for a printing press. It has taken a lot of time and work to come up with a format that I was happy to see published and met the recommendations of my peers. At this point in time the response to the first two books in the series (covering the first three Pinan / Heian forms) has been very positive and I intend to release the final two books in 2015. Another big change this year was my decision to open a club where Shotokan karateka could train in addition to my DART karate clubs. There is a lot of good Shotokan near me, but I wanted to offer a kata based syllabus to students with the kumite consisting of bunkai and the kihon based predominantly around impact and balance training. I didn’t want my new Shotokan clubs to be divisive and I recognised that I would be teaching quite a different syllabus to other local karateka, so I decided to make the club open to any karateka to train by arrangement in addition to their regular training without need to grade with me or leave their current association. So far the club has attracted some great karateka and it’s been a real pleasure to teach the classes. Pierre Chassang illustrating a point about Sankyo with me as Uke. Going back into full training while tired and ill is an interesting experience. 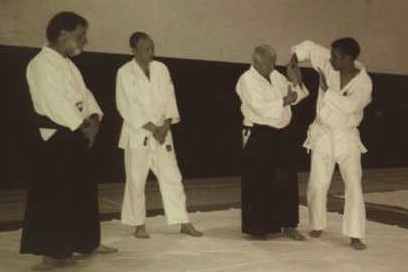 In the late 90s and at the turn of the century I was privileged to train for a week each August for a few summers with the late great Aikidoka Pierre Chassang. Chatting with Pierre (in my poor French) in the canteen or watching him walk about away from training he seemed like a normal small old man shuffling about in a tracksuit. However, as soon as Pierre stepped onto the mats he grew, seeming to straighten up and draw energy from the ground and the people around him. I am not the martial artist that Pierre was, but I felt the same when I returned to training after my transplants and this year each time I have stepped tired onto the training area I have felt that same energy, growth and motivation. This week I’m going under a general anaesthetic yet again to have a lot of swollen tissue cut away from the base of my tongue deep in my throat. The surgeon has promised me at least two weeks of pain. A perfect martial artist’s Christmas and New Year?